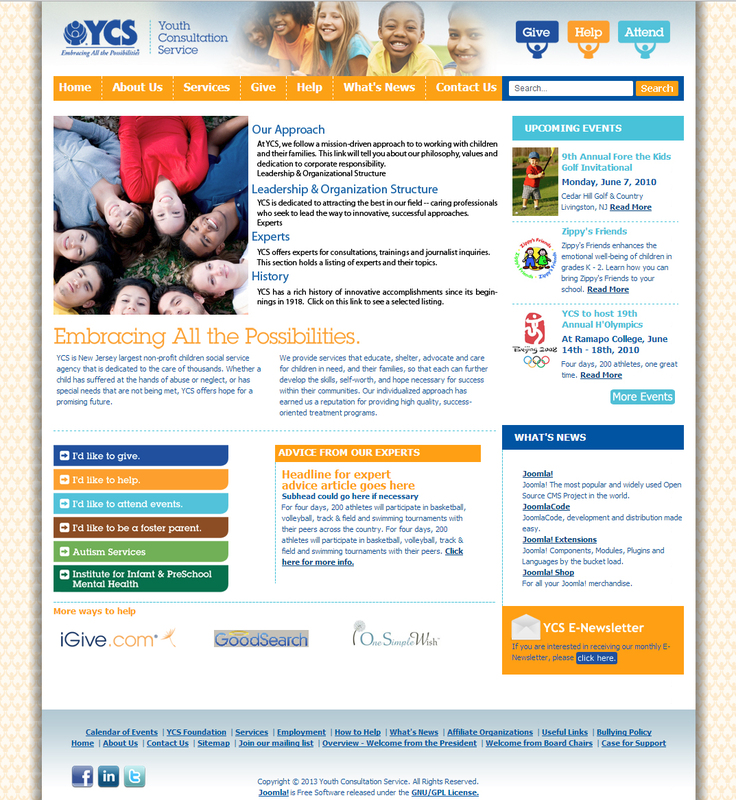 YCS – Youth Consultation Services – Striking Web Solutions partnered with Words and Pictures Creative Service, Inc. to take a designers dream into reality. Striking Web Solutions was provided with a PSD (Photoshop Template) and were tasked with the job of creating a fully functional Joomla template. Striking Web Solutions provided the template to Words & Pictures who then filled in the content making a complete site for YCS to proudly display for many years to come! Company: Words and Pictures Creative Service, Inc.